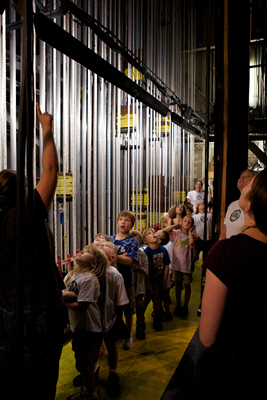 The Brookwood School summer camp joined us this morning for a backstage tour. 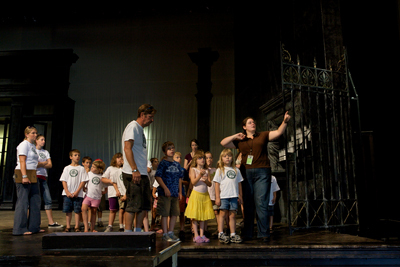 Pictures of the children exploring the theater are below. 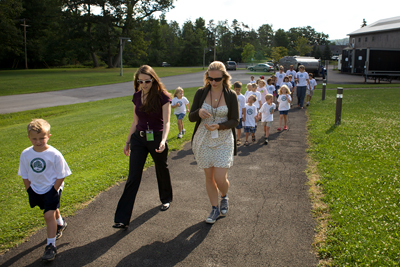 We felt like the Pied Piper leading the children to the theater. Kate pointing out our hidden television monitors while on stage. 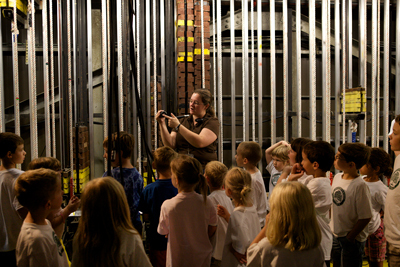 Kate explains our rigging system to the children. Kate explains electrics to the children.